RMC Molded Powder Flask - molded flask is made of tough, static proof, black PVC plastic. Large enough to hold approximately 1/4 pound of black powder or pyrodex powder. 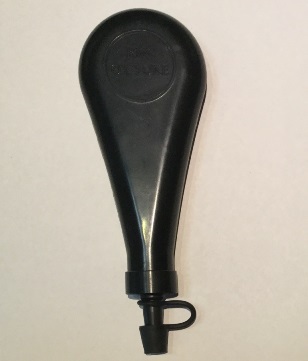 The flask has a removable pour spout with a waterproof cap.